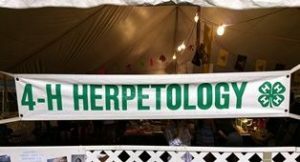 For those of you with a big interest in herpetology (the branch of zoology concerned with the study of amphibians and reptiles), come to the 2018 Somerset County 4-H Fair! 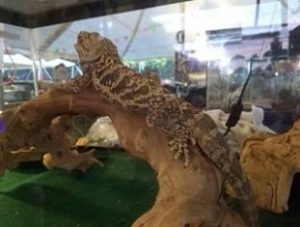 Dr. Jessica Stephens will be judging numerous snakes, lizards and a few amphibians and frogs showcased in the Herpetology Club tent on Wednesday, August 8, 2018. Judging takes place in the afternoon from approximately 3:15 p.m. – 5:15 p.m.
Pets in the Herpetology Club include: bearded dragons, blue-tongued skink, California king snake, Russian tortoise, frogs, Western painted turtle, Eastern painted turtle, leopard geckos, snapping turtle, checkered garter snake, crested Gecko, and corn snake. 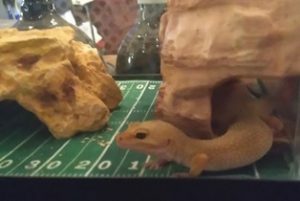 Throughout the year, Herpetology Club members are encouraged to learn about their pets so they can keep them healthy and help educate others about what they have learned. The annual Somerset County 4-H Fair gives club members a venue to showcase their pets and win awards. 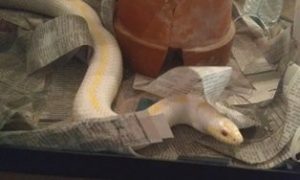 Awards include Best in Show, Best Reserve in Show, and ribbons for each category, typically the four herpetology animal groups (snakes, lizards, turtles and tortoises, and amphibians). However, if there are a large number of pets one category, such as bearded dragons, that may can count as a separate category all its own. Certified Fear Free Professional – Our Mission is to prevent and alleviate fear, anxiety and stress in pets by inspiring and educating the people who care for them. 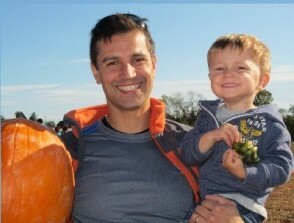 This entry was posted in Events, General Pets, News and tagged 4-H Club, Herpetology. Bookmark the permalink.